Imperforate, crown watermark, hand-made paper with burleage[†] of wavy lines. Printed by H.H. Thiele, Copenhagen. 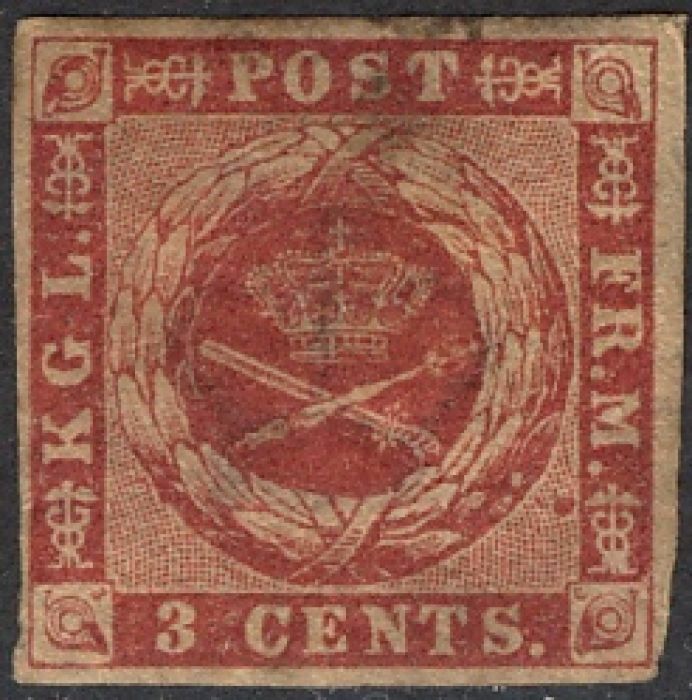 Scott dates the first issue as April 1856, Gibbons and Mackay as November 1855. The first and only issue from a Danish colony, though see the Faroe Islands in 1919 and the Schleswig plebiscite in 1920. DWI was sold to the US in 1917, whereafter they became the U.S. Virgin Islands (as distinct from the British Virgin Islands, first issue 1866) and used U.S. stamps and currency. † Burélage is a fine pattern of lines or dots printed underneath the design (on the front) or on the back of the stamp as a security device. It was first used by Denmark .